Rottweilers are confident, loving, and loyal. They can be reserved with strangers but affectionate with family. They love to show off and please their owners. Their appearance is medium large, robust and powerful, black with clearly defined rust markings. 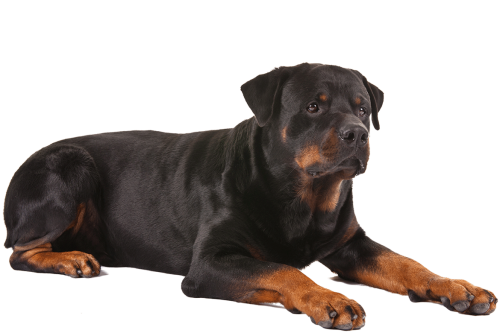 The rottweiler is an intelligent breed with endurance and the willingness to work, making him suitable for police work, herding, service, therapy, obedience competitions, and of course, companions.